1. 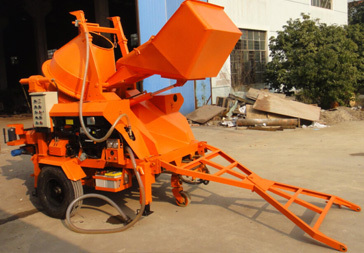 The concrete mixer pump combined two machines into a machine; move easily, strong and flexible maneuverability. 2. 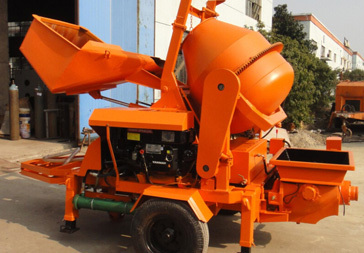 This concrete mixer and pump are operates by a worker only, it will save maintenance and labor costs. 3. PLC program control system, stable and reliable, longer life. 7. A 20 feet container can load one set, lower shipping costs. 8. Feeding, water, stirring of Mixer and pumping all controlled by the diesel engine through hydraulic system and PLC implementation, high degree of automation without any electricity. 10. Diesel mixer concrete pump specifically designed for the users in countries and regions where it is lack of electricity or its voltage or frequency is different from China (380V/50Hz).